Is there any paperwork or document for the mechanical systems of 16 Hawkins Cres, Ajax, Ontario? I need more information about the property at 16 Hawkins Cres, Ajax, Ontario. 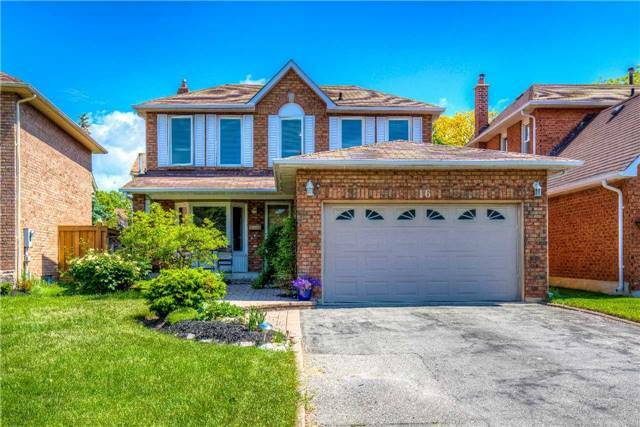 How ist the neighborhood, location and nearby amenities for 16 Hawkins Cres, Ajax, Ontario? I have questions about the roof, foundation, insulations and mechanical issues of 16 Hawkins Cres, Ajax, Ontario? I need more information about property details. What's wrong with this house? Is this a short sale? Is there any maintenance for 16 Hawkins Cres, Ajax, Ontario? What is this property worth in today's market? What are "closing costs", and how much? What steps should I take when looking for a home loan? What price home can I afford? Is my credit good enough to buy this house? What are the best mortgage options for me? How flexible is the seller on the asking price? How low can I consider offering for 16 Hawkins Cres, Ajax, Ontario? Lake Driveway & Westney Rd. Steps To The Lake And River! Miles Of Trails And Waterfront Parks! Stunning 3-Bedroom Family Home On A Quiet Cres. Hardwood Flooring Through Out. New Vinyl Windows 2017, Freshly Painted 2018, High Efficient Furnace 2013, Gorgeous Kitchen With Quartz Counter Tops And New S/S Appliances. Main Floor Laundry, Family Room W/Fireplace, Large Fenced Byard 12 X 20 Big Deck.Close To Everything: Schools, Highway, Shopping, Rec Centre, Hospital/Medical, All Services.